Anglian Internet has it's own dedicated server in the London Data Telehouse. 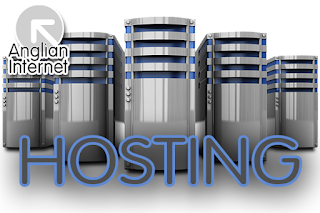 This enables us to offer value for money web hosting and email packages. We also offer custom reseller packages for companies wishing to start out in the web design business. What does this mean to the people of Norfolk? Instead of using email support tickets to get any email or web hosting problems resolved you can speak to a real Norfolk person to sort it for you.